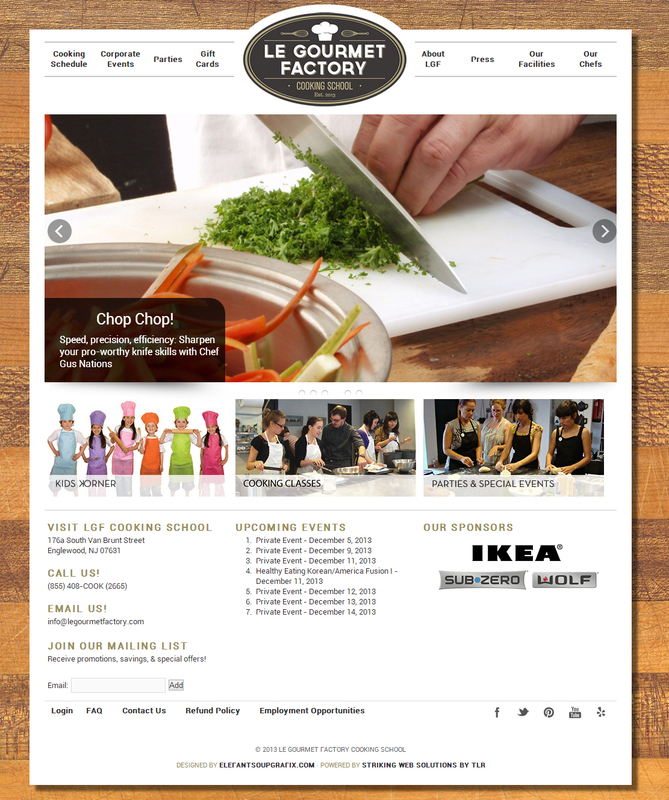 Le Gourmet Factory – Cooking School – The cooking school needed a website that could tell the story of food through the senses. Through large, high quality graphics, we capture the savory taste of everything being cooked! Through their website, customers can signup for classes and pay online – reserving their spot in the classroom. Visitors can even purchase gift cards to be used by the recipient to book online in the future!